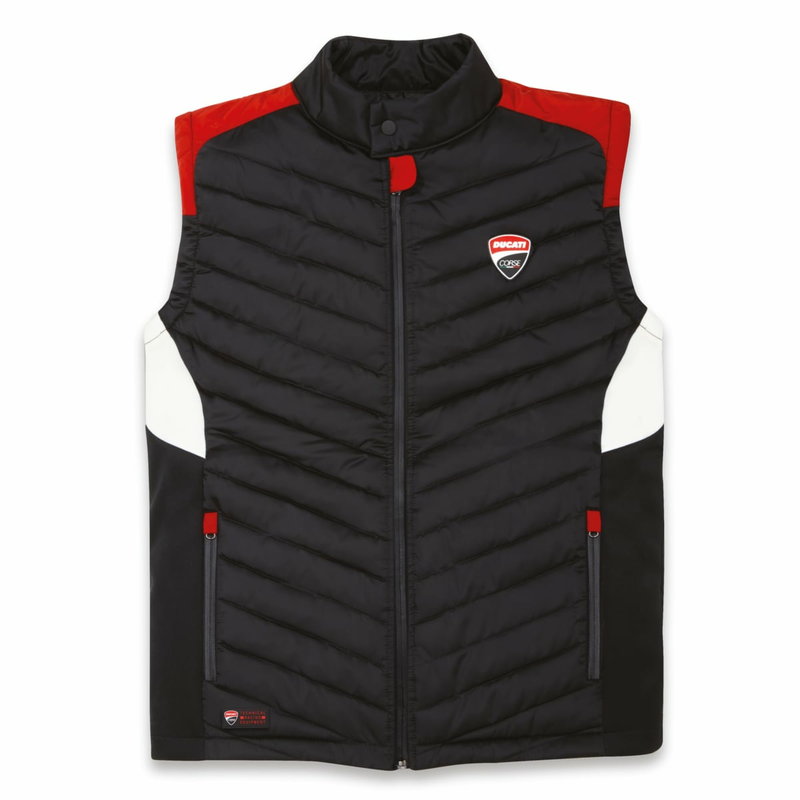 Versatile and functional, the Ducati Corse padded vest is made of nylon and neoprene. 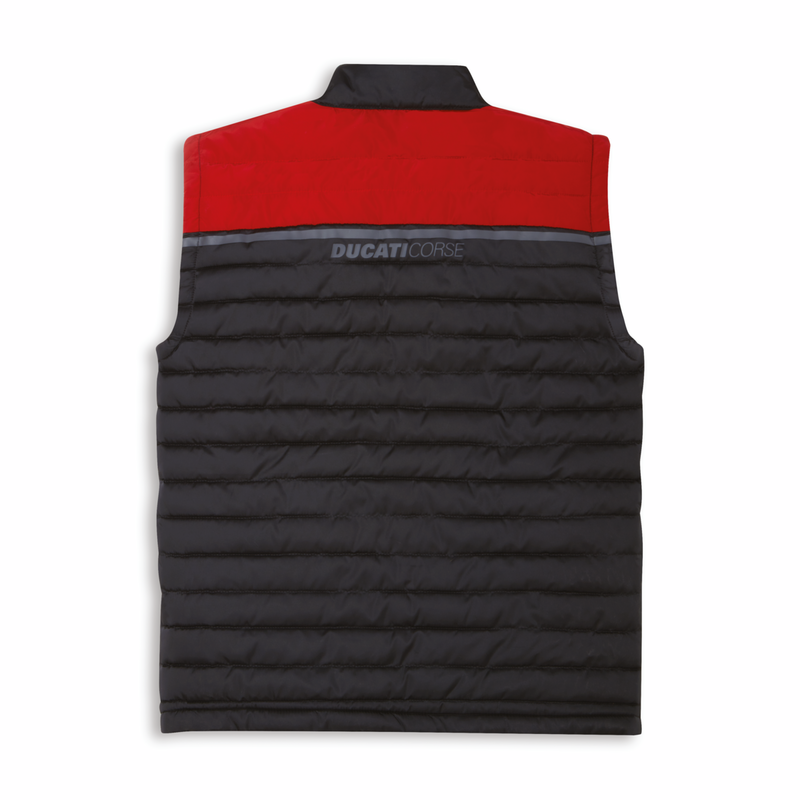 It has rubberized zippers and Ducati Corse patches that convey an unmistakable sporty look. Ideal for the spring and fall, it's a unisex garment that everyone will love.